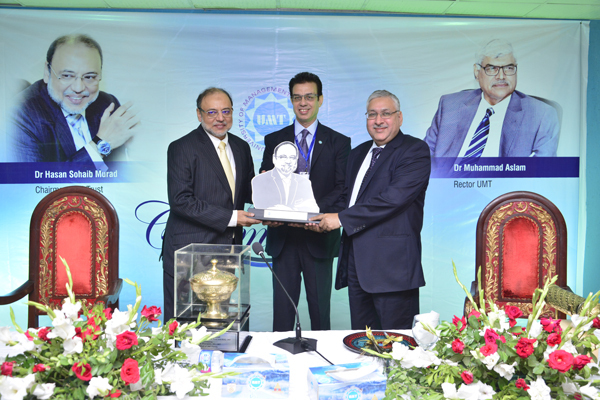 It is a moment of new beginnings for UMT as Dr Hasan Sohaib Murad in his farewell speech as UMT Rector thanked the UMT community for the immense support and guidance. 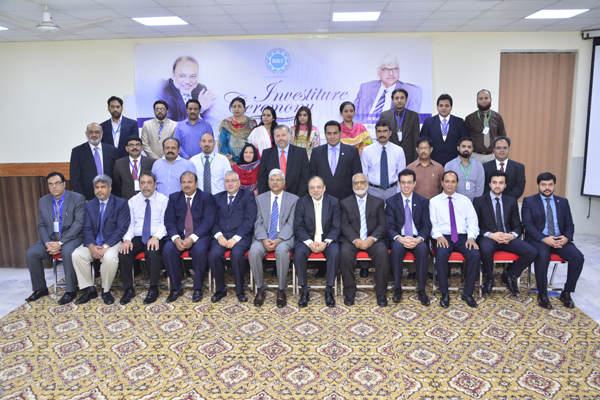 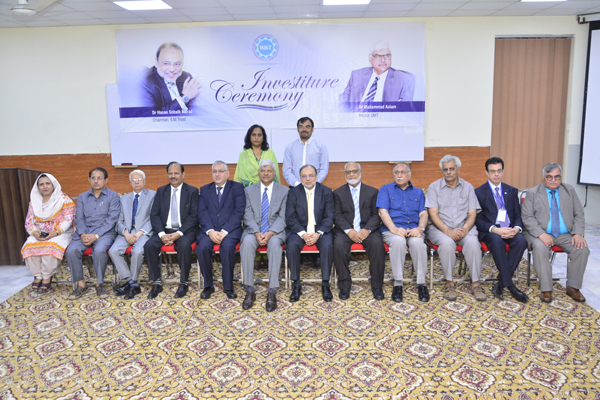 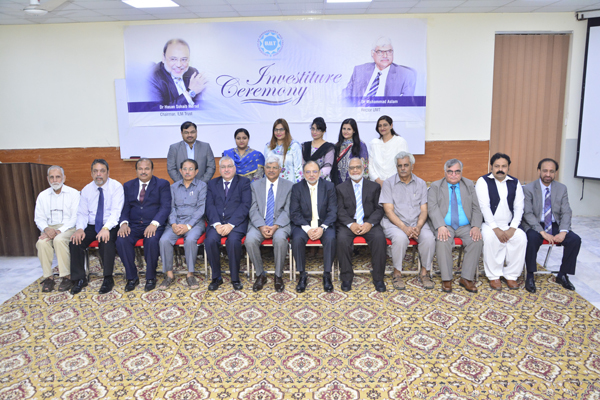 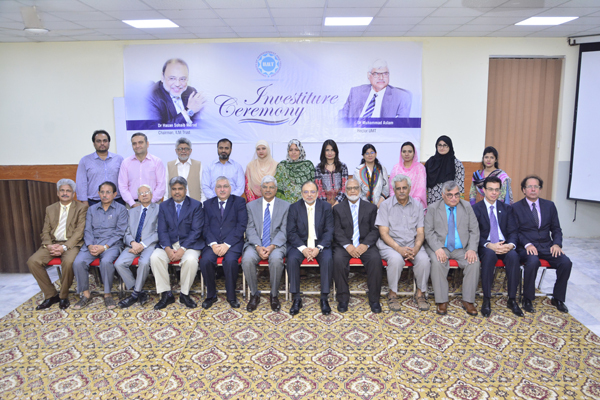 While addressing the investiture ceremony, Dr Hasan, Chairman ILM Trust and BoG UMT, stated that his 27 years with UMT has been memorable ones, as he was surrounded by selfless and purposeful BoG members, friends and family who helped him in all times. 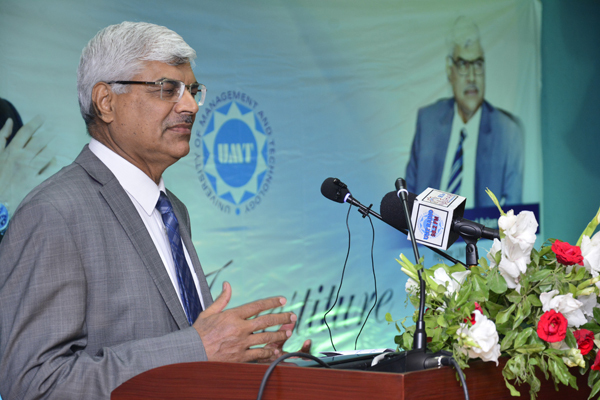 He welcomed the new Rector Dr Muhammad Aslam in UMT clan and stated that UMT is proud to have an extremely competent leader who has an academic experience of 12 years and has led one of the renowned institutions of engineering and technology in the country. 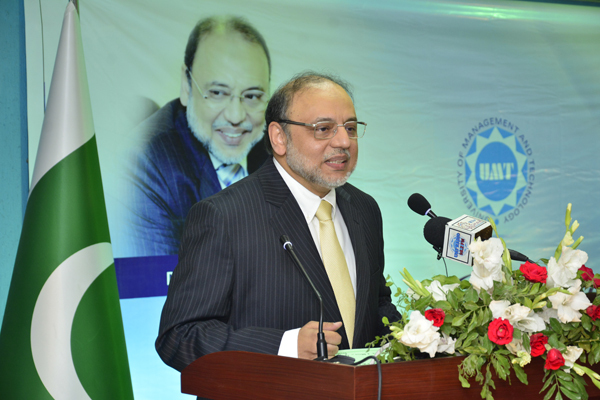 Dr Hasan also shared that his parents, wife and children have played major roles in his success. 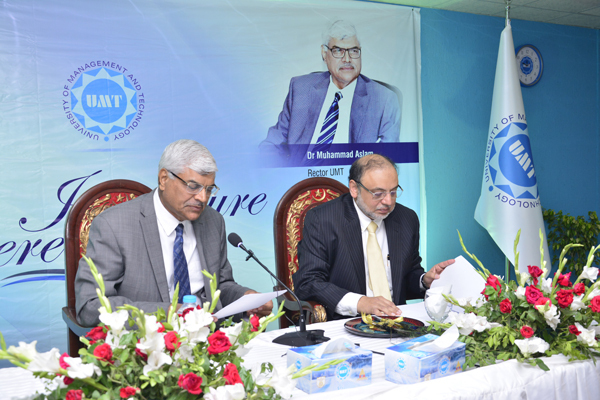 He also thanked his inseparable friend Abid H K Shirwani, DG UMT, for sharing his academic responsibilities. 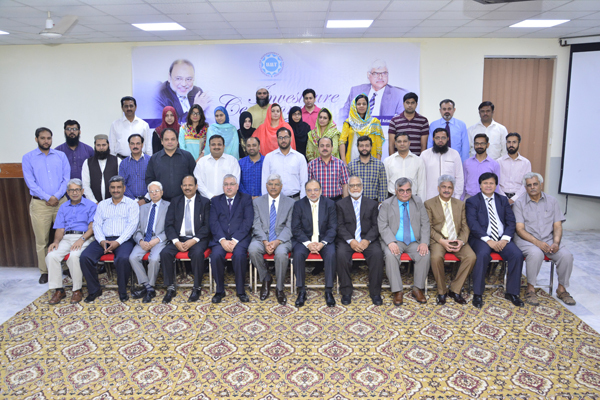 He emphasized that higher education is all about the transformation of society by the advancement of knowledge and development of people. 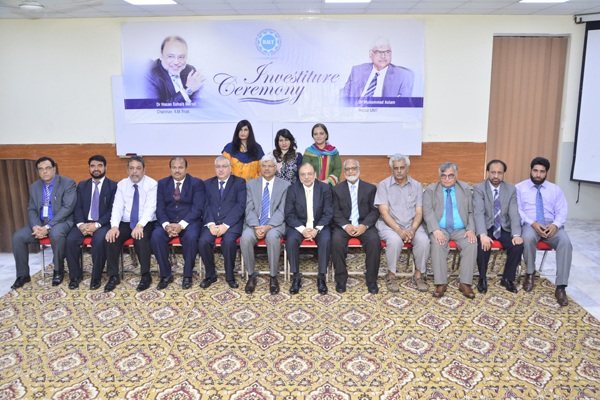 He also quoted that knowledge based on truth never goes unrewarded and can help you achieve anything in life. 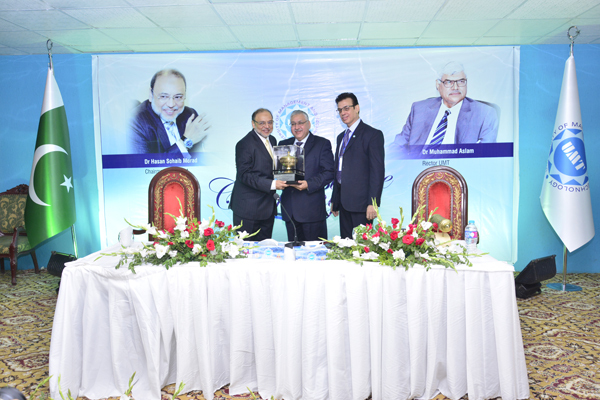 In the end, he acknowledged the efforts of deans, directors and heads of UMT and encouraged them to work in collaboration with each other and under the dynamic leadership of Dr Muhammad Aslam, make UMT a university of academic par excellence. 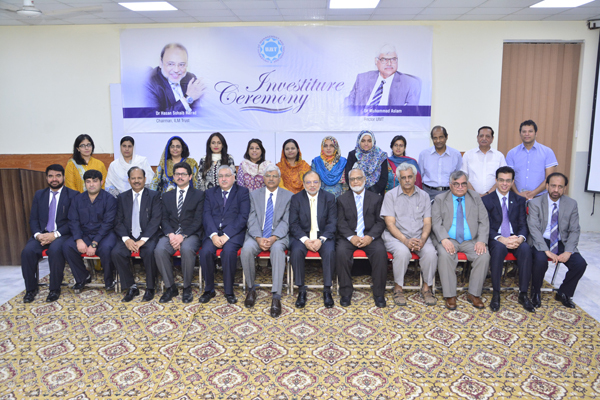 During the investiture ceremony, Dr Hasan presented souvenir to the new Rector Dr Muhammad Aslam and also received mementos from Abid Shirwani, DG UMT, and Rana Iftikhar Ahmad, Director External Affairs. 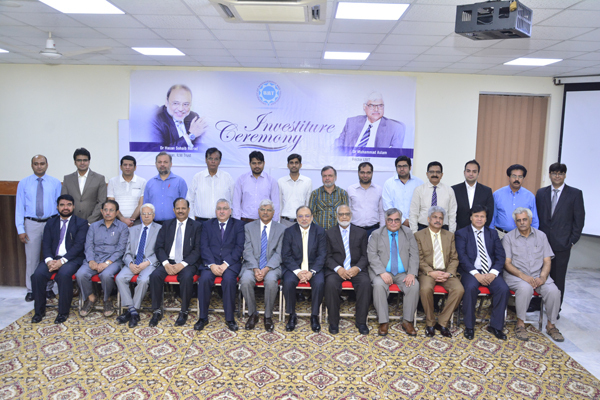 The event was attended by deans, directors, faculty and staff members of UMT.